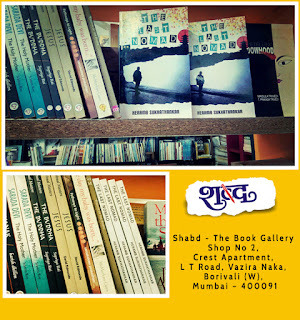 It feels excited to share that my novella, The Last Nomad, is now available for readers at Shabd - The Book Gallery, Mumbai. 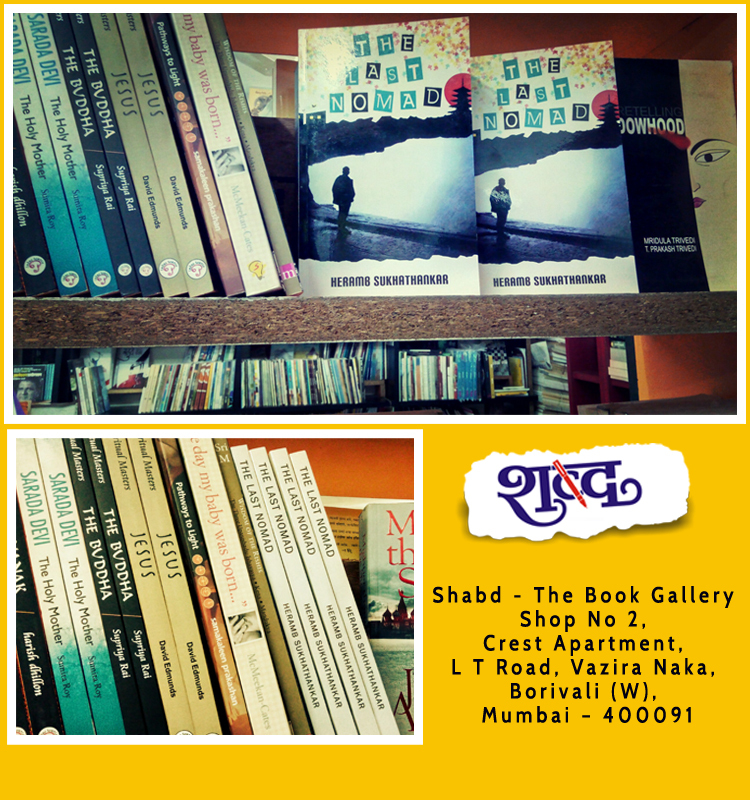 Shabd has become a space for readers in Mumbai to be often visited with its Shabd Gappa - an annual series of conversations with renowned personalities in the world of literature, films, music and social work. 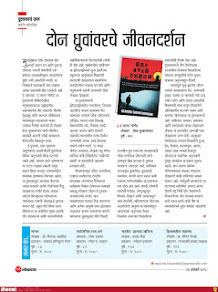 It's magazine Mukt Shabd also offers wonderful thoughts on culture and society. 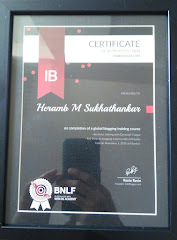 So what if you are in Pune or Bengaluru? And in case you are a fan of paperbacks, like me, more than a Kindle version, it will be a matter of honour to be introduced in a book cafe/store in your city. 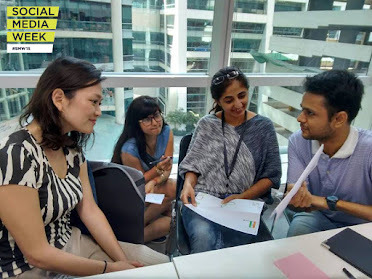 Get in touch on Facebook or Email: connectinsight@gmail.com. Along with bookmarks, tucked inside the books are personal notes for the first four readers!